The Casa Rose One-to-One Personal Styling Sessions are available at the Pop-Up Boutiques throughout the year. 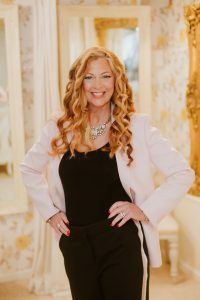 Your session will take place with Casa Rose Founder, Rose Lyburn, who has over 30 years of experience working in the fashion industry and 14 years experience running the Casa Rose Fashion Boutique. Rose has a deep understanding of what fashion is and what it means to her customers. Using this knowledge, Rose will assist you in accurately evaluating your shopping needs and requirements. Rose takes a holistic approach to the Styling Session. Listening to you and understanding your needs and aspirations; she provides a focused, intimate, informative but fun consultation. Sessions are designed specifically to your requirements. The unique Casa Rose product line of hand-picked fashion separates compliment and flatter your figure. Focused on quality fabrics, fits, styles, shapes, prints and plains, you are covered from day to evening wear! Being comfortable and confident in what you wear, empowers you every day. Rose will encourage you to stray from your norm, capitalising on your personality, lifestyle and individuality. Leaving you feeling stylish, self-assured and fabulous inside and out! Small groups are welcome, bring a friend or two and experience a real style boost! Refreshments will be available, along with lots of laughter and fun. One-to-One Personal Styling Sessions are charged on an hourly basis. Please send us an email for Pricing Details. Personal Styling Sessions are available for all Members of the Casa Rose Fashion Club. For more details of how you can join our exclusive Fashion Club please visit our Casa Rose Fashion Club pages or send us an email. How to Book your Personal Styling Session. Please email us to schedule a free telephone Styling Consultation to discuss your needs and requirements or to book your Personal Styling Session at the Casa Rose Showroom. We are so looking forward to hearing from you! Alternatively, if you are interested to shop the Casa Rose Collection at one of our fun and fabulous Styling Events please click here to see our Styling Event Schedule and to confirm your attendance.